Lee has partnered up with golf media giant No Laying Up to produce the first of a series of #Toursauce posters that represent No Laying Up’s core philosophy: “to engage in smart, nuanced discussion around all things golf. In doing so we feel it our responsibility to be open and honest when called for, but also to inject humor and levity wherever and whenever possible”. 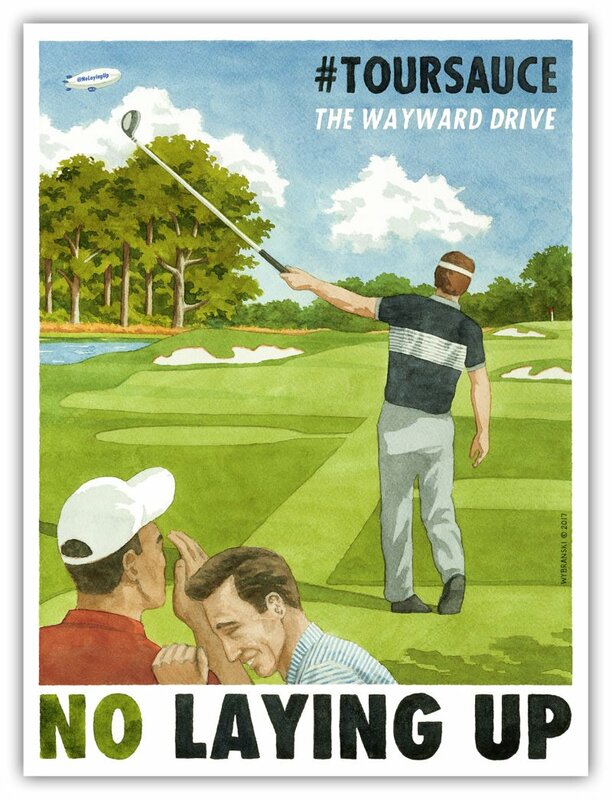 The first poster called The Wayward Drive is a vivid imagining of the NLU logo brought to life and it goes out to all of you golfers out there who go for it.